William, born on August 28th 1864, was the eldest of the brothers. 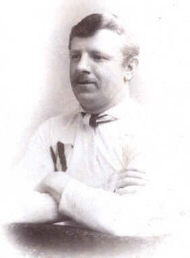 He officially joined the Hunslet Club for the start of the 1886 - 87 season, although he had played a game the previous season when he also played for Leeds Parish Church. He did have the honour of playing in the first ever game at Parkside which took place in February 1888. He retired from playing at the end of the 1888-89 season and during this season he twice played in the same side as Albert. After his rugby playing career was over he moved north of the city to Preston House Farm near Gateland Lane in Shadwell, not far from the present day rugby league headquarters at Red Hall, where he lived with his wife Polly. He played local league cricket for Shadwell United Cricket Club and in 1909 the Barkston Ash Cricket League presented William with a medal for services to local cricket. 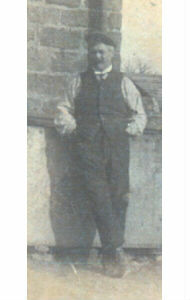 William tragically committed suicide at his farm on the 25th February 1913. His brother Albert told the inquest that William had a serious accident some years earlier when a number of slates had fallen on him and since that time he had often complained of headaches. The jury found that he had shot himself whilst of unsound mind. Some years later the remaining family members emigrated to Australia. They made their home in New South Wales where John Goldthorpe was also now living.